DAVID LE/Staff photo. 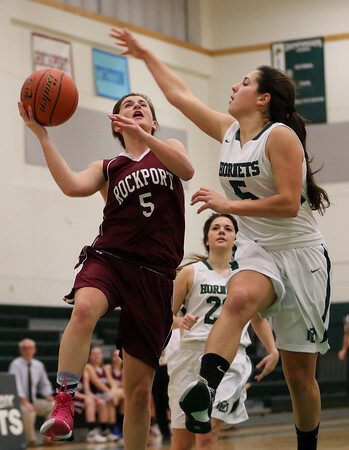 Rockport sophomore Whitney Schrock (5) goes up for a layup as Manchester-Essex senior Sabrina Pallazola (5) leaps up for the block. 12/23/15.